The Cambridge Folk Festival's prestigious reputation for quality music in intimate surroundings means tickets always sell out very quickly. The music is much more than traditional folk. The festival will be taking place from Thursday 25th until Sunday 28th July 2013. The latest additions are Jamie Smith's Mabon, Rusty Shackle, The Brass Funkeys, Amadou & Mariam, Darrell Scott, Emily Barker & The Red Clay Halo, Patty Griffin, Korrontzi, English String Band, Monster Ceilidh Band, Tommy Emmanuel, Thea Gilmore, [Shelby Lynne has had to cancel], BeauSoleil avec Michael Doucet, Breabach, Korrontzi, State Of The Union, Greg Russell & Ciaran Algar, The Rambling Boys of Pleasure, The Staves, The Reverend Peyton's Big Damn Band, Valerie June, The Rambling Boys of Pleasure, John Hegley, Sketch, Martin Carthy & Dave Swarbrick, Peter Buckley Hill, Ross Couper & Tom Oakes, Blair Dunlop, Ewan McLennan, Nick Mulvey, Emma Sweeney, Marika Hackman, Hudson Taylor, Common Tongues, Blue Rose Code, and Rae Morris. They join headliners Bellowhead, The Mavericks, and The Waterboys plus KT Tunstall, Levellers, LAPD, Capercaillie, Heritage Blues Orchestra, Martin Simpson, Le Vent du Nord, Mud Morganfield, Sam Lee & Friends, Heidi Talbot, The Chair, Mokoomba, The Bombay Royale, Bella Hardy & The Midnight Watch, Frigg, Lucy Rose, Willy Mason, Kathryn Roberts and Sean Lakeman, Jim Moray's Silent Ceilidh, Brian McNeill, We Banjo 3, Larkin Poe, Monster Ceilidh Band, The Willows, and Greg Russell & Ciaran Algar. For the line-up details, and day splits, as available, click here.  Tickets are priced at £126 for a full adult festival pass (not including camping), and a concession full festival pass is priced at £94. Day tickets are priced as follows - Thursday £20, Friday £45; Saturday £55; and Sunday £55. Children aged 5-13 years tickets is priced at £37, and children aged 4 and under can attend for free. Camping is available for full festival ticket holders only, priced at £37-£54 per 2-3 berth tent.